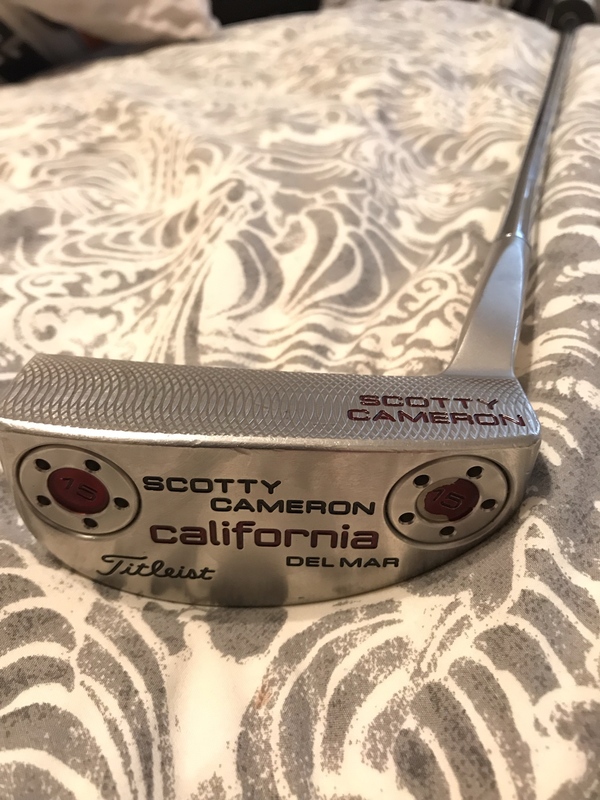 I bought this putter from a buddy recently but I think the toe hang is not for me and I am interested in trying something with more face balance. Would anyone be interested in buying or trading? 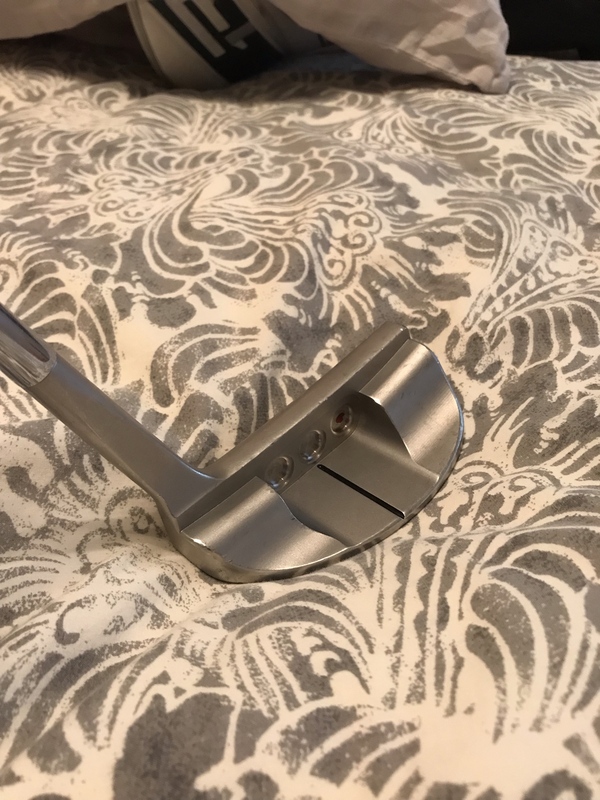 It has the milled face. The cherry dots fell out and the 15g weights have some chipping on their color fills as well. It is 34” with super stroke fatso. They don't play over there. You better have good pics and good feedback on other posts (you need at least 75 before you can list something for sale). Basically, his only option there will be to try and trade it for something someone else is listing. I've only bought from there but never listed anything. So I don't know much about the process. I just know it's a good resource for used golf equipment. I wouldn’t say beat to shite but it’s certainly not close to “like new”. I’m not looking to make a ton of money off of it. You sure your buddy didn’t sell you a fake? While some paint issues happen, all of the cherry dots falling out would make me suspicious. That is a quality control issue that the knock offs just don’t care about. I've gone back to this putter on three separate occasions because I love the way it looks and sits. I also give it up within a month of using it because I can't putt with it at all. It's the putter version of the crazy ex gf you go back to every now and then because you forget how crazy she is. Then after a round of 4 3 putts, you remember why you gave it up in the first place and it's back to the garage. Where you located and how much you want for it?